Perfectly baked lasagna is simple to make with this beautiful Basic Essentials® Stainless Steel Lasagna Set (and so are casseroles, au gratin potatoes, chicken, or sheet cakes). 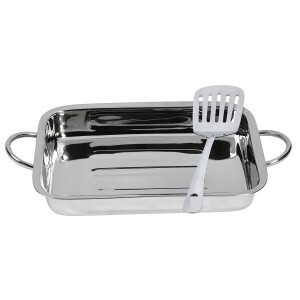 This 12.75 inch by 9.5 inch by 2 inch Stainless Steel Lasagna Pan by Basic Essentials® is perfectly sized for lasagna, casseroles, au gratin and sheet cakes. The large pan is oven safe up to 450 degrees Fahrenheit – just right for roast chicken. Stainless steel pan is durable, naturally non-corrosive, does not react with food or odor, and has a polished finish to beautifully present your cooking. 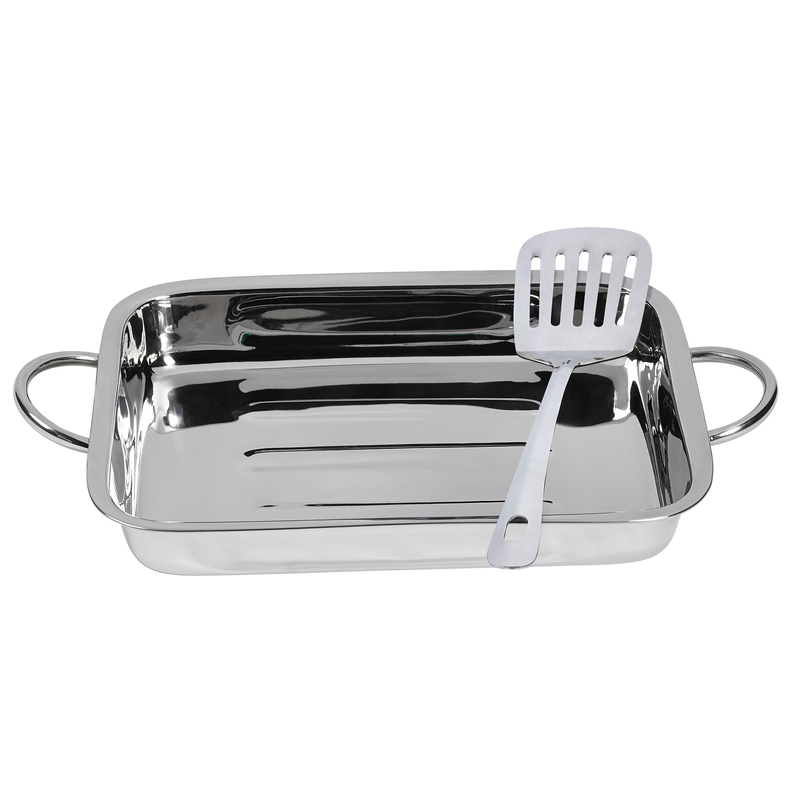 The lasagna set’s 13 inch Stainless Steel Spatula comes with a wide blade that easily lifts out lasagna. What could be more perfect?